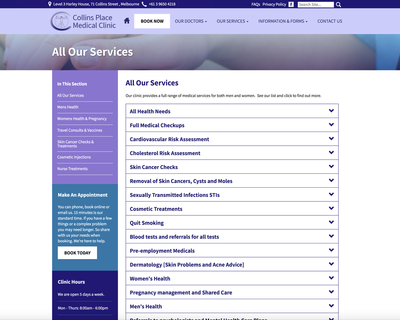 Keeping up with the times, Collins Place Medical Clinic needed to improve their web presence so their patients could find information about their services easier, to book appointments online and to find contact information in a clean, slick and modern design. 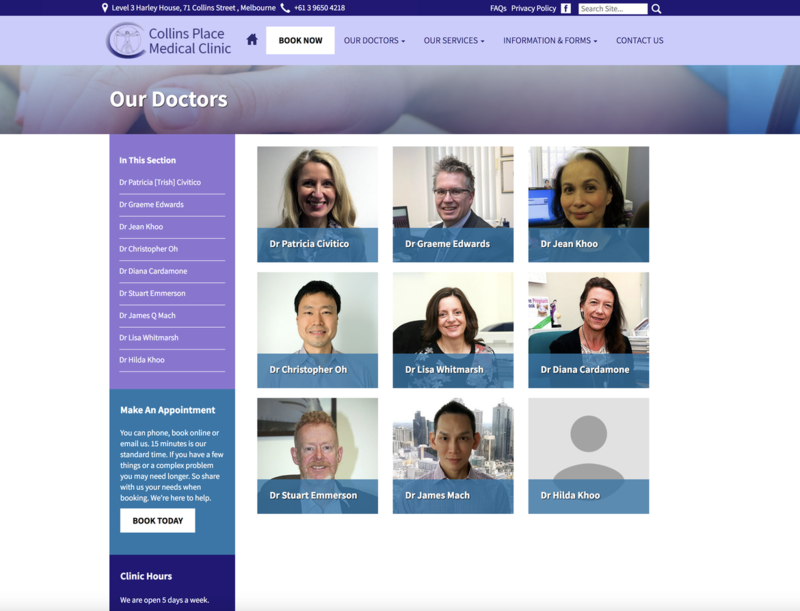 The team at Telligence migrated the content from their old website to the Powersites CMS platform, and reorganised the content into a clean and easy to navigate format. 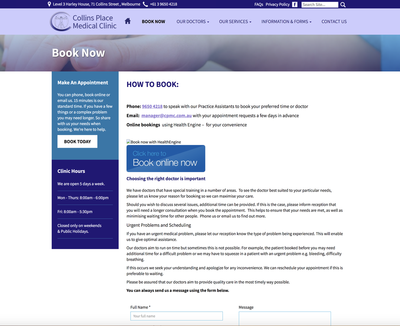 As Telligence is in Newcastle NSW, and Collins Place Medical Clinic are in Melbourne, there was not issues with the distance between the two. We used online tools to collaborate throughout the process. 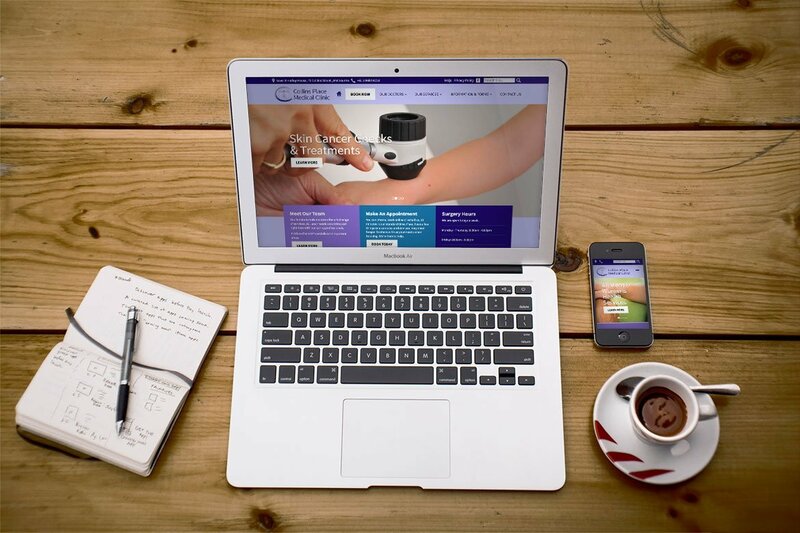 Distance will not stop Telligence from delivering the best online solutions. Why not go and review the final product for yourself!